Spoiler warning! Check out the strategy guide on how to beat the Dark Elf in God of War. Take down Svartaljqfurr in the God of War Dark Elf boss fight by following the tips and video below. Alongside some of the toughest boss battles in God of War, Svartaljqfurr can be a real pain to deal with. For more boss battle guides, check out the fights against Stone Ancient, Soul Eater, The Stranger and Sigrun. Ready to battle? To be victorious in the Dark Elf boss fight, you need to know his strength and weaknesses. This bout is all about using your dodge effectively against some very strong attacks. You also need to command Atreus to shoot arrows to help weaken him so you can get up close to deliver some damage. A huge swing of his staff. A spinning melee swing followed by a slam. You can counter the first move by dodging back and then wading right in there for three quick attacks with your axe. For his dash attack, you can simply dodge to the side, and you'll have a few seconds to get a couple of hits in. With his double spin melee attack, if you time it right and block, you'll have time to counter with an attack. You can see his dash attack coming when he rises into the air. During phase 2 once The Dark Elf hits 75 percent, watch out for the explosive that fires out from the staff. This will be three explosive charges in one, and if you step on one you'll take damage. You can avoid these by rolling backwards when you see the staff start to glow. These explosives will blind you. Just stay your distance and roll back to avoid. Atreus is a great help during this fight. He acts as a distraction with his arrows and can give you precious seconds to be able to launch your own attack against the Dark Elf boss. He gets even more aggressive at 50 percent health, with an uppercut move. Once again it's simply about dodging out of the way, because if you get struck this will cause a lot of damage. For the final phases of the God of War Dark Elf boss fight, makes sure you use your Runic attacks when possible. Press L1 then R1 for a light attack and L1 then R2 for a heavy attack. During the final quarter of this boss battle, the Dark Elf will bring all the skills together for a frantic assault. Watch the video to see how we dealt with him as you combine dodge, Runic attacks and Atreus commands to beat him and claim your reward. 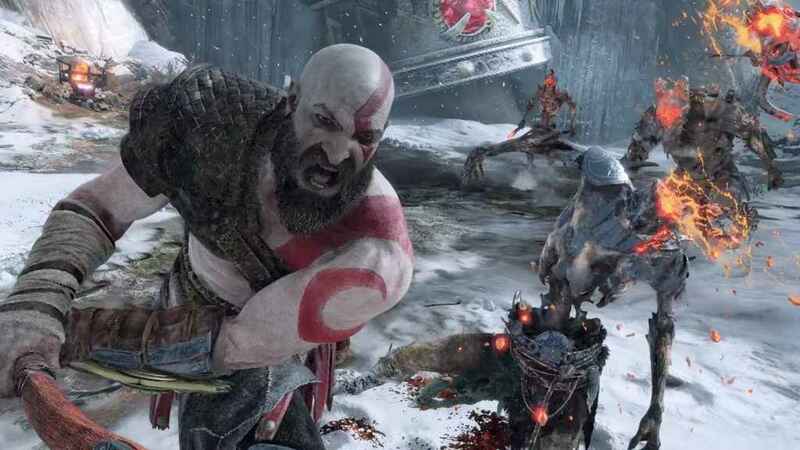 For more help, check out the complete guide to God of War.